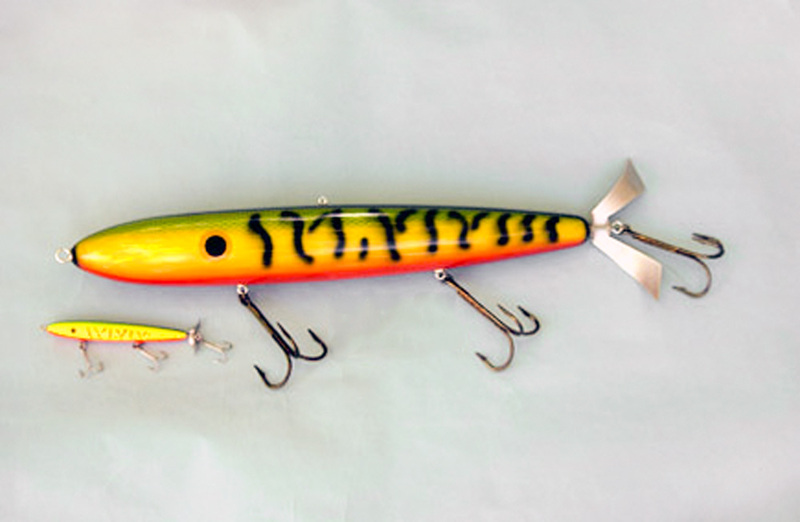 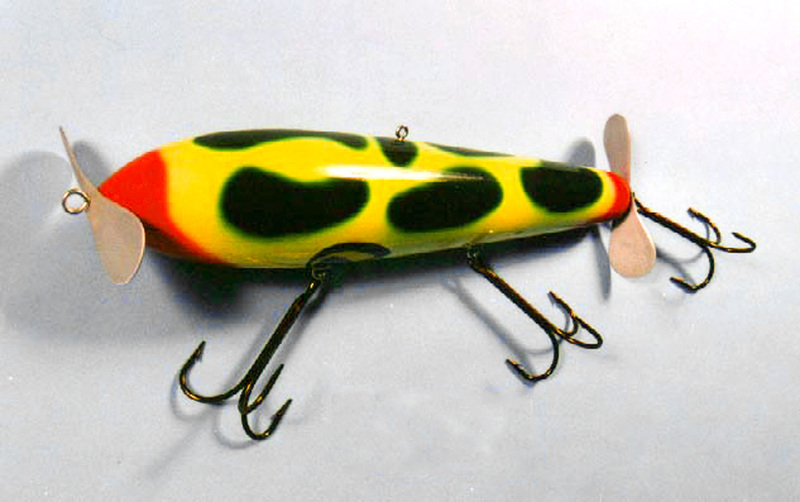 Handmade P-Seed Spook Lure sculpture by Ken Picou. 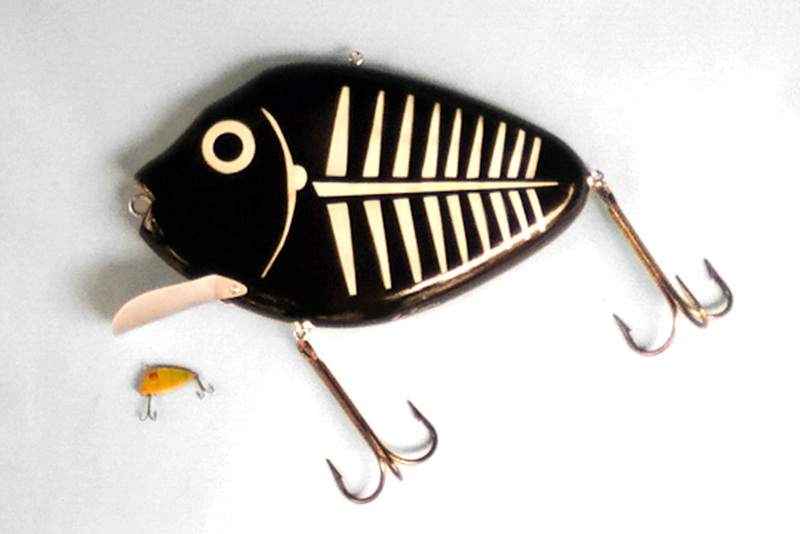 Based on the famous Heddon Punkinseed Spook pattern. 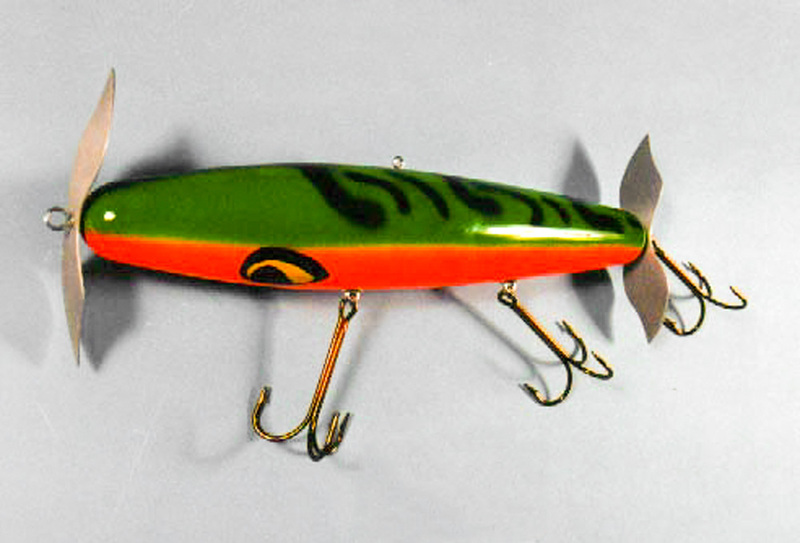 The old wooden Punkinseed lures are collected by many fishing aficionados.